ARMEK: One of the most deadly and dangerous White Martians to ever exist. He was the companion to M'Gann M'orzz when she was a White Martian on Mars. M'Gann removed herself from the Martian conflict and severed ties with Armek in doing so. Armek, however, came to Earth to get M'Gann back and take her to Mars for trial for the perceived war crimes she committed. 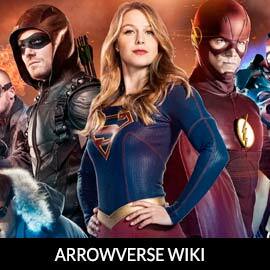 For more on Mxyzptlk, check out our partners at ArrowverseWiki.